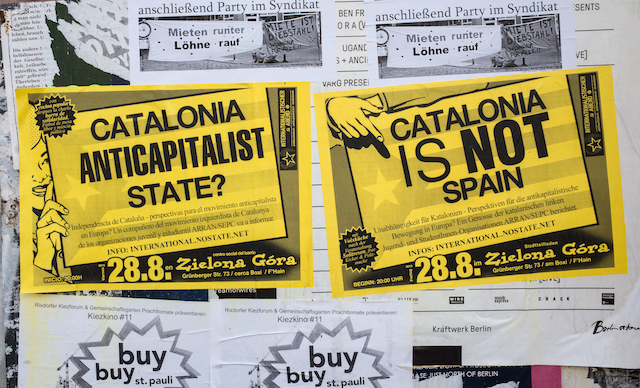 Many of the most radical Catalan separatists believe the autonomous elections on 27 September 27 this year will open the door to the question of secession from Spain. Researcher Ignacio Molina believes this is a dangerous idea. 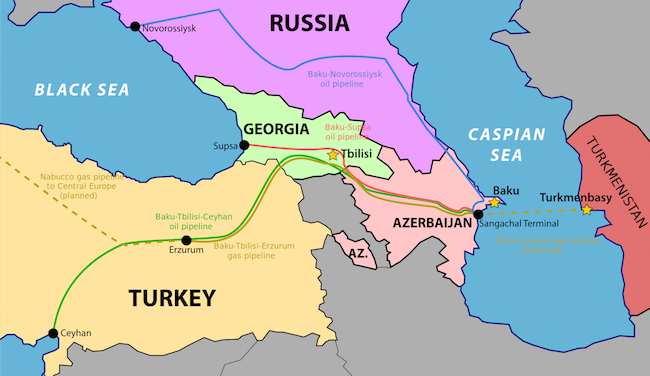 Taras Nazarenko urges Europe to wake up and notice Russia’s new weapon: seizing its neighbours' pipelines. Catalonia's two main parties yesterday (26 November) moved a step closer to calling a snap regional election they want to use as a proxy for a referendum on independence from Spain. 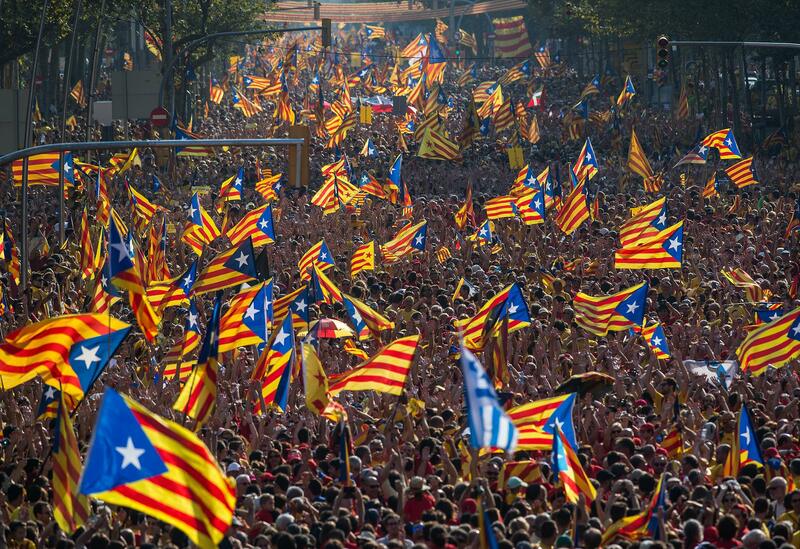 Millions of Catalans voted yesterday (9 November) in a symbolic referendum on independence from Spain that supporters hope will propel the issue further despite opposition from Madrid. 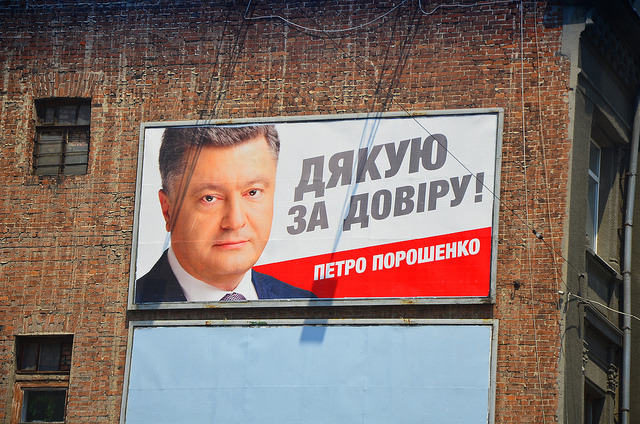 Pro-Russian rebels elected a separatist leadership in eastern Ukraine yesterday (2 November) in a vote President Petro Poroshenko called "a farce" and that the EU condemned as “an obstacle to peace”. 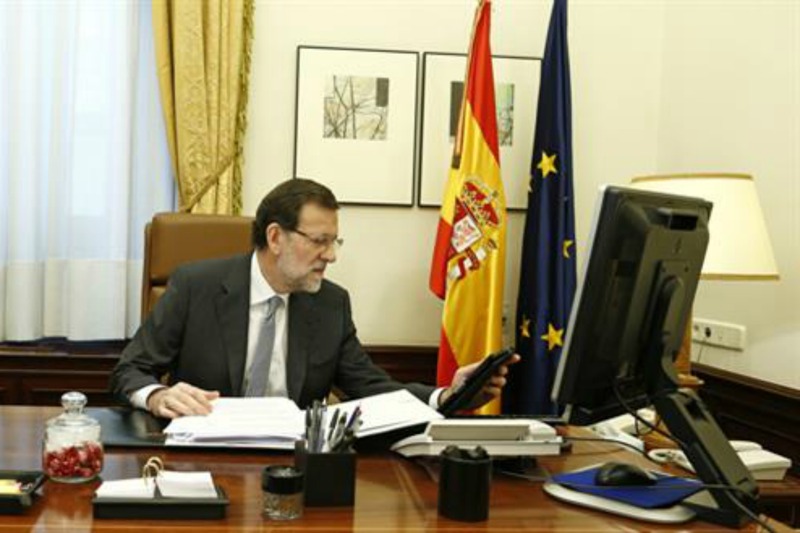 The Spanish state adviser yesterday (30 October) backed a veto of a watered-down Catalan vote on independence planned for 9 November, making it likely the government will try and have the "consultation of citizens" blocked by the courts. 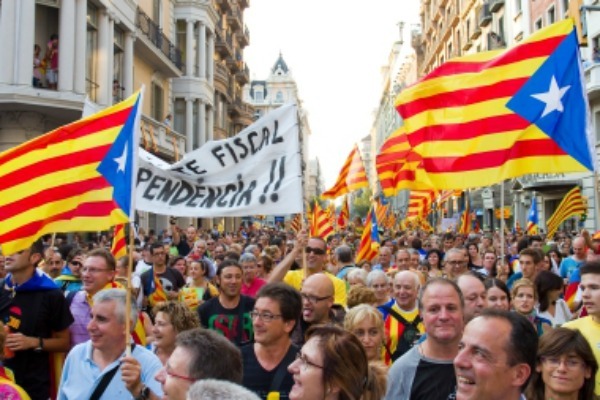 Spain's central government took the first step on Monday (27 October) towards blocking a "consultation of citizens" that the Catalonia region intends to hold next month in the place of a full referendum on independence from Spain that was barred by a court. 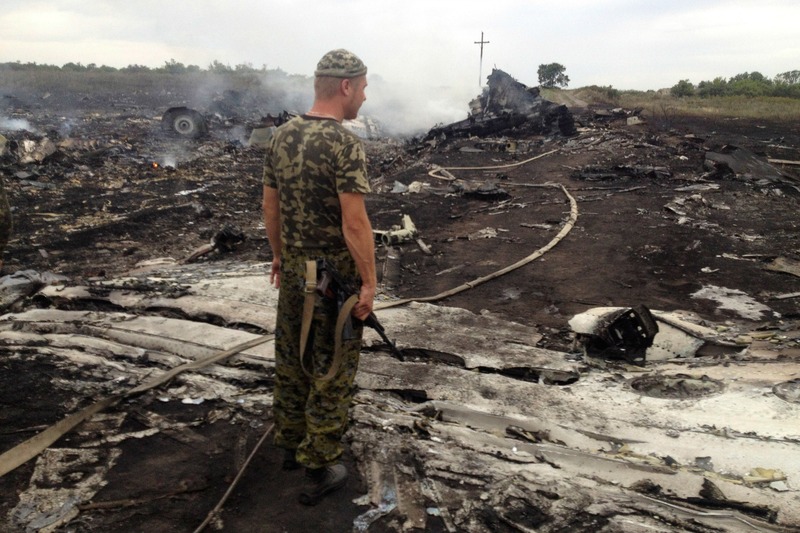 Germany's BND, the first European foreign intelligence agency to say so, has concluded that pro-Russian rebels are to blame for the downing of Malaysia Airline MH17 in Ukraine in July, Der Spiegel weekly reported yesterday (19 October). 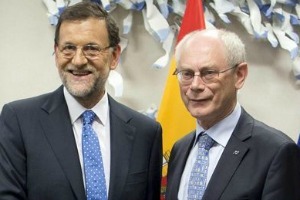 The president of Spain's Catalonia region said yesterday (21 September) he would formally call "in the next days" for a vote on independence from Spain which has been scheduled for 9 November. "Should Scotland be an independent country?" Over 4 million Scots are set to go the polls on Thursday to answer this question and decide whether or not they want to stay part of the United Kingdom. 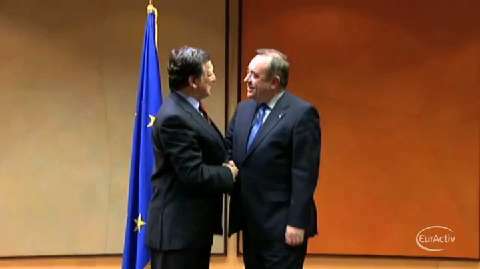 The EU has largely kept a diplomatic silence in the weeks before today’s Scotland's independence referendum, but the implications of a “yes” vote are broadly seen in Brussels as the last thing the Union needs in its present difficult circumstances. 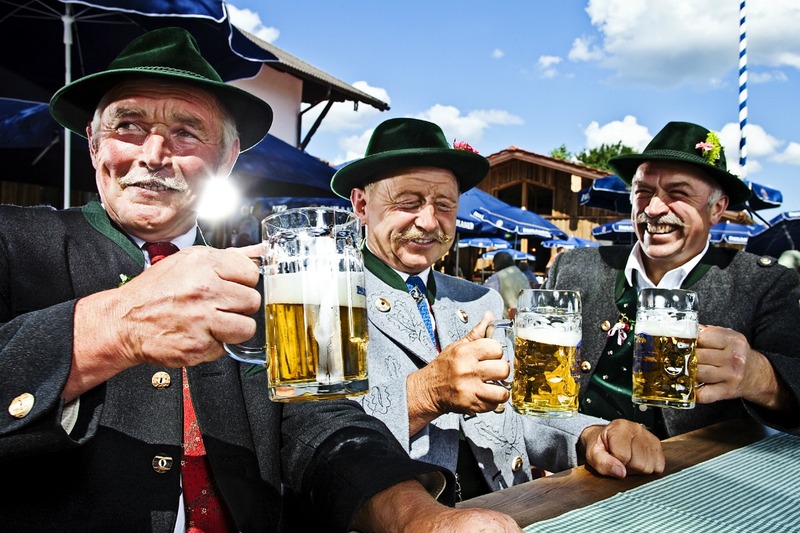 The German government on Monday (15 September) ridiculed the suggestion that the rich southern region of Bavaria could try to break away if Scotland votes to split from the United Kingdom this week. 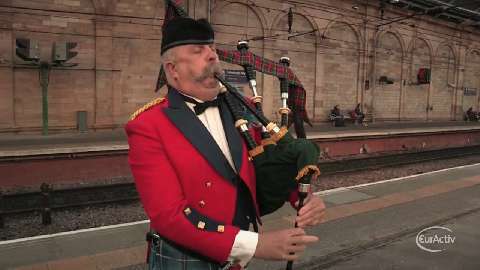 Scottish citizens head to the polls on 18 September to vote on independence in a referendum. 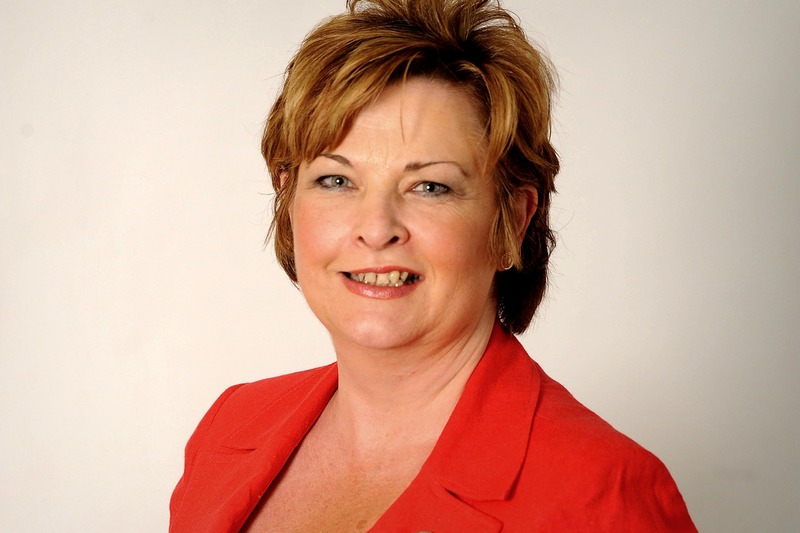 An independent Scotland will play a constructive role in addressing some of the central challenges facing the EU, writes Fiona Hyslop. 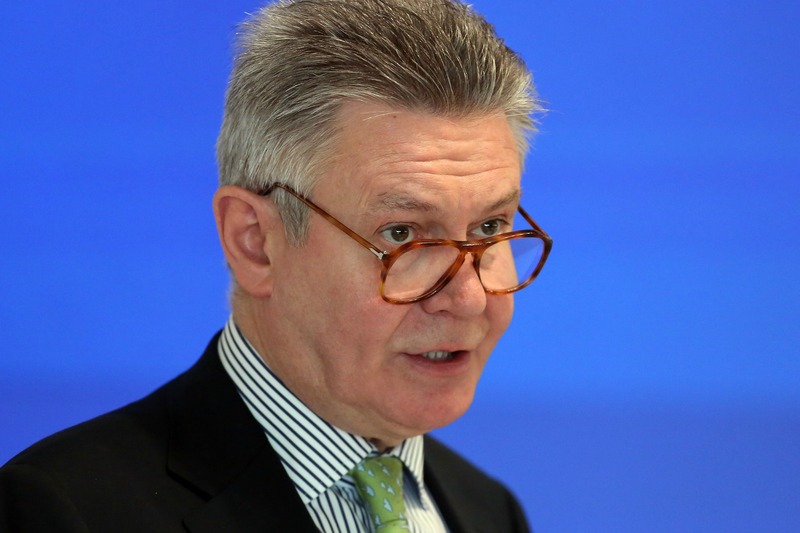 Karel De Gucht, the EU trade Commissioner from Belgium, lashed out at the Flemish nationalist party N-VA for joining the Conservative group in the European Parliament, saying they played a “dirty trick” on the liberals, who are led by another prominent Flemish, Guy Verhofstadt. 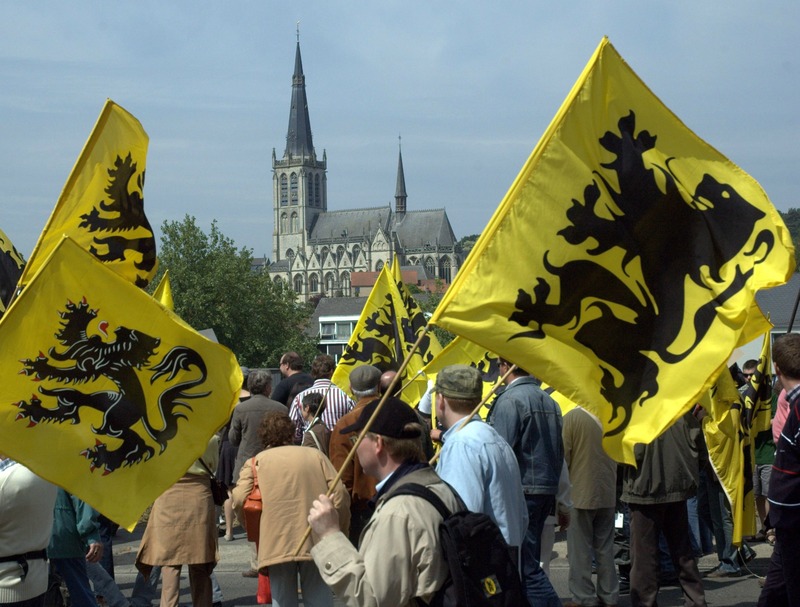 Will Flemish separatists save the Tories in Europe? 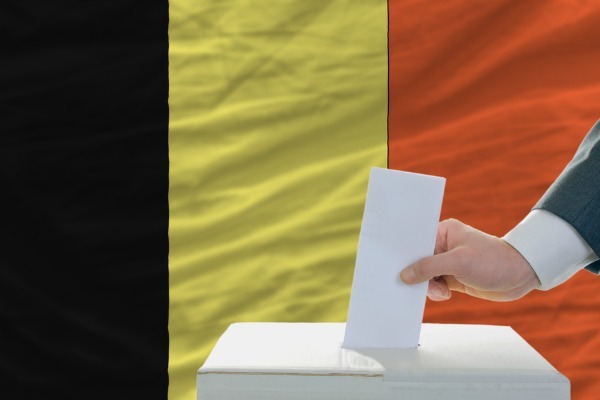 The Flemish separatist party N-VA is once again set to make big gains in Belgium’s triple elections this month, but they remain undecided about which group to join in the next EU Parliament. Could they become the much-needed new member of the ECR group, led by the British Conservative Party? 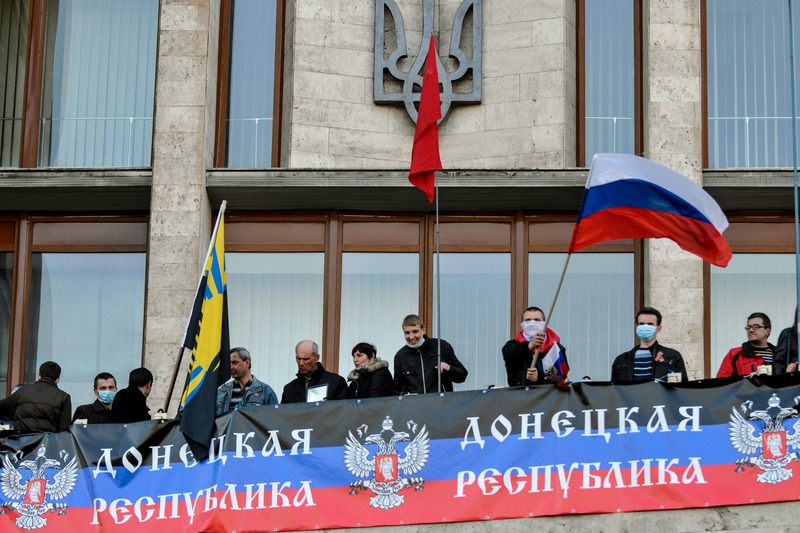 Separatist action in eastern Ukraine where pro-Russia demonstrators have occupied public buildings shows a "second stage" of special operations by Russia is under way aimed at breaking up Ukraine, its interim president said today (7 April). 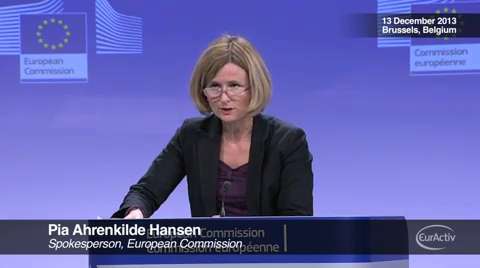 Brussels warned Catalonia on Friday that it would no longer be an EU member state if it becomes independent from Spain. 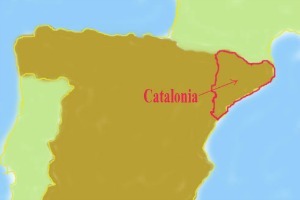 The warning came after Catalan separatist parties set November 2014 as the date in which an independence referendum will be held in the spanish north-east region of Catalonia. "Do you want Catalonia to be a state?" and "Do you want that state to be independent?" would be the two questions asked in the referendum. 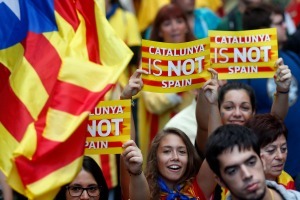 Separatist parties in Spain's Catalonia region set 9 November next year as the date for a proposed independence referendum yesterday (12 December) and agreed the wording, but the Spanish government immediately poured cold water on the plan. The Flemish Green party has accused the separatist N-VA of deviating too much from the political line of the Greens/EFA group in the European Parliament. One of the main pro-independence parties in Spain's northerly Catalonia region has fuelled the country's growing row with Britain over Gibraltar after expressing sympathy with "bullied" residents in the British territory. 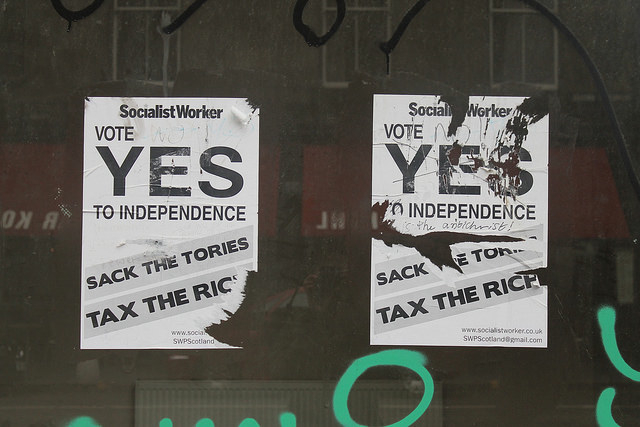 Could Scottish, Catalan independence votes reshape Europe? 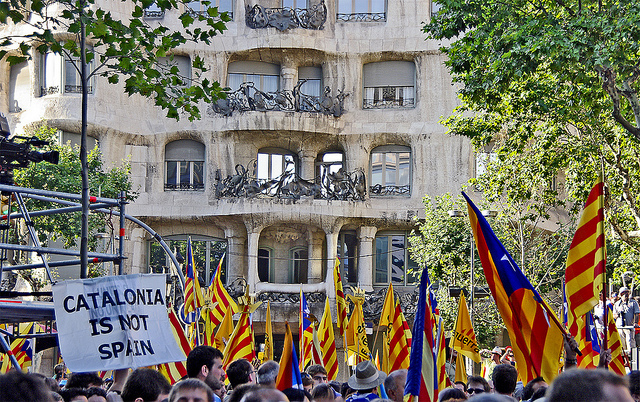 The separatist flag of Catalonia – with its yellow and red stripes, blue triangle and white star – was a rare sight on the streets of Barcelona a decade ago. Now, it is almost ubiquitous. 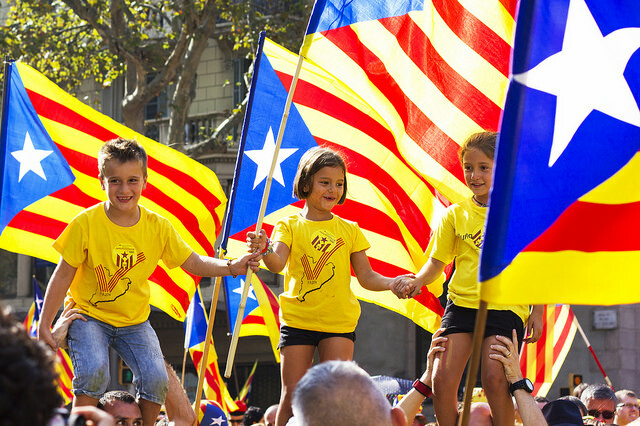 Catalonia's parliament approved yesterday (23 January) a declaration of sovereignty signalling the start of an uncertain journey towards a referendum on independence from Spain for the north-eastern region.